All Instructor have received Red Cross First-Aid and CPR training. Lead staff members are US Sailing certified. 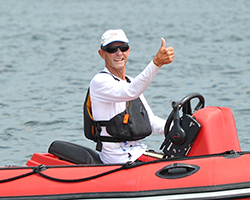 All students and staff are required to wear a PFD at all times when in and near the water. LMSS works to keep instructor-to-student ratios low. At LMSS, there is a progression of classes to fit the needs of every student, at any age or experience level. Our program is organized into three progressive tracks, each one building upon the track before it: Recreational Sailing, Learn to Race, and LMSS Race Teams. Sailors are encouraged to advance through these tracks as their skills improve. Designed for students who have little or no experience, or who want to enjoy a noncompetitive environment. These classes cover the basics of sailing, allowing students to gain confidence on the water and develop relationships with other sailors their age. Learn more. Building on Recreational Sailing skills, sailors will learn race fundamentals: points of sail, sail trim, and steering technique. We introduce basic race skills and rules of competition. Learn more. 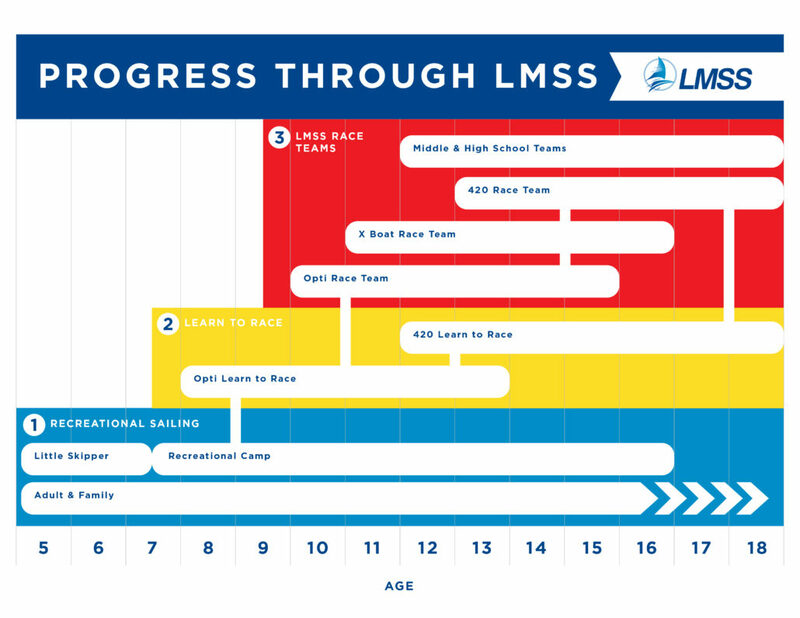 Designed for intermediate and advanced sailors who have previous race experience, the LMSS Race Teams have a mix of practices at LMSS and dedicated coaching at regattas to maximize improvement and meet individual goals. Learn more. LMSS is a 501(c)(3) non-profit. To ensure that our costs remain low, we rely almost entirely on the generosity of our donors to update and improve our facility and fleet. It is because of this community support that we are able to provide safe, high-quality equipment for every one of our sailors. My kids have been attending LMSS for the past 5 years, they look forward to it every summer, great staff! We love the STEM camp!